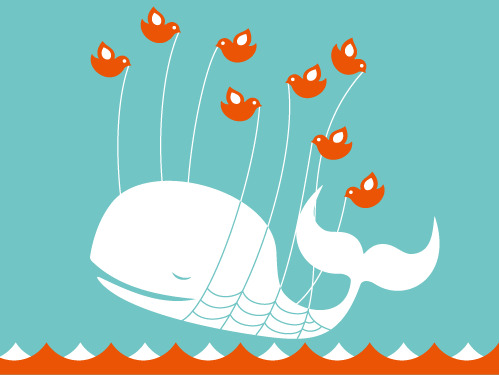 I am loving the fail whale at the moment, despite it usually only coming into my life when Twitter has temporarily popped its clogs. 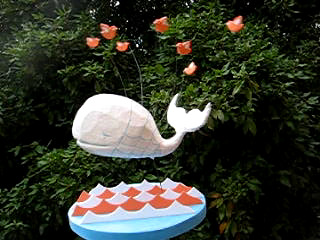 Thanks to a post by the apparently zen James Governor (very relaxed about the amount of Twitter downtime these days), I now know who created the whale and it seems like the artist has tapped into the current conversation too as the whale is now microblogging here and has its own fanclub with a range of pretty cool merchandise! The whale-a-razzi tag is taking it a bit far though, even for a geek like me. Anyway, here‘s a link to some more work by the artist, Yiying Lu – it is ace, check it out. what gets your knickers in a twist?